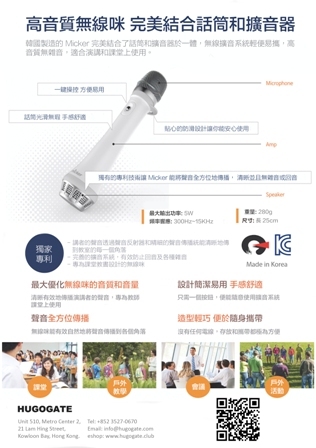 Combining Microphone and Speaker into a single device, Micker is equipped with all-in-one portable microphone system. Complementing the weakness of the existing wireless mike, Micker is convenient to carry and conveys the clear tone of voice. It is also optimized for lecture room environment to cater to the needs of speakers and lecturers. Our green initiatives and constant effort for protecting the environment has once again led us to be the recipient of the Hong Kong Awards for Environmental Excellence, 2014. This past year we have used sustainable energy via the use of LED lights, conserved paper and ensured that we constantly monitor our triple bottom line. We would also like to thank the HKAEE committee for taking their time to evaluate our efforts. 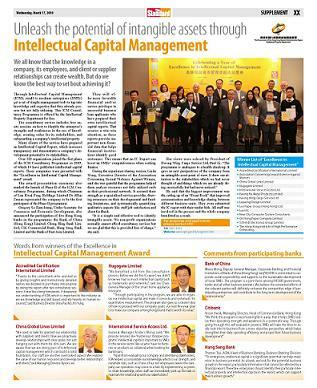 Hugogate won the 2013 HKAEE Merit Award. 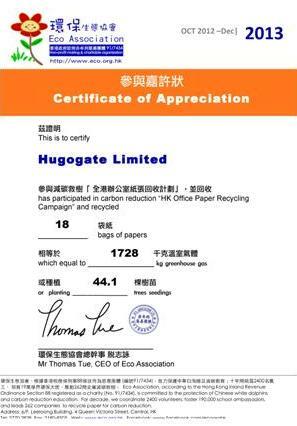 Hugogated has participated in the carbon reduction "Hong Kong Office Paper Recycling Campagin" this year. 18 bags of paper which equal to 1728 kg greenhouse gas or planting 44.1 trees seedling have been recycled. 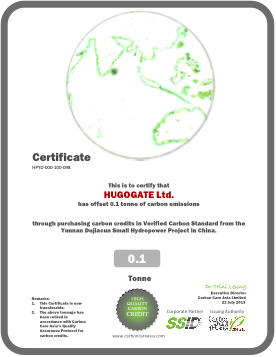 HUGOGATE has offset 0.1 tonne of carbon emissions ,acquiring high quality carbon credit. 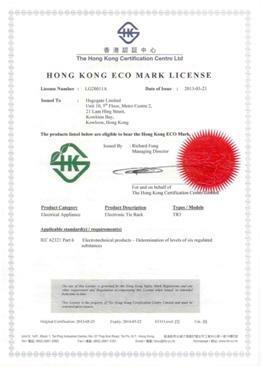 Electronic Tie Rack (TR3) have become eligible to bear the Hong Kong ECO Mark.